So there was no surprise when the Co Monaghan-based rally school chose Subaru Foresters as the latest additions to their ever-growing fleet of vehicles. “We already run Subaru WRX STis as our first choice hyper performance tuition cars,” said managing director, David Smyth. “Our WRXs are fully rally prepped, fitted out with roll cages and all the kit to take drivers to the next level, in complete safety. 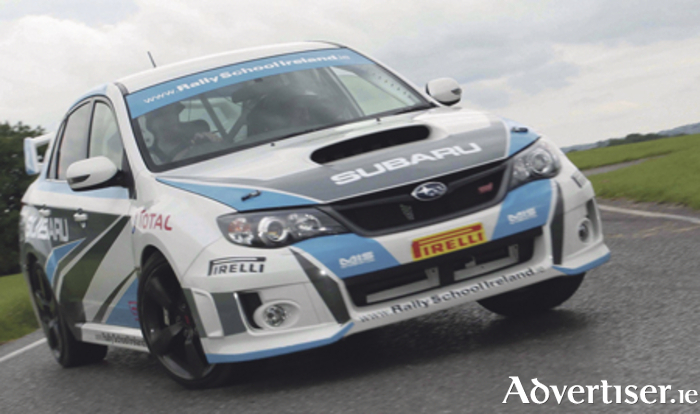 They have proven so reliable and popular it was only natural that when choosing circuit support cars we opted for Subaru again, and we picked the hugely versatile Foresters. “Our support cars work just as hard as our tuition vehicles – we ferry customers from Ireland’s many airports to and from the circuit and constantly use them to move luggage and equipment. The Forester carries five adults in complete comfort and has a cavernous bootspace. It delivers loads of grip and feedback from Subaru’s trademark symmetrical all-wheel drive system, and of course comes in economical petrol or diesel options – and manual or automatic. It’s easy to drive and has excellent all-round visibility, a high view point and seat position, and is superbly comfortable for long journeys. Rally School Ireland is based at Gola, Scotstown, five miles from Monaghan town. They offer intensive professional rally driving training, and also cater for the growing leisure market with hen and stag party packages and ever-popular track experience days for novices and experts alike. In addition to the flagship Subaru WRX STis, their extensive fleet includes Ferraris, Porsche, BMW M Sports, and the very latest KTM and Ariel track cars.